For Fakhri El Ghezal, a photograph manipulates the body of the one who takes it, in a perpetual resonance, in an incessant going back and forth between the memory of the flesh and the “flesh” of the image. Images are also evanescent traces on the skin of the photograph. 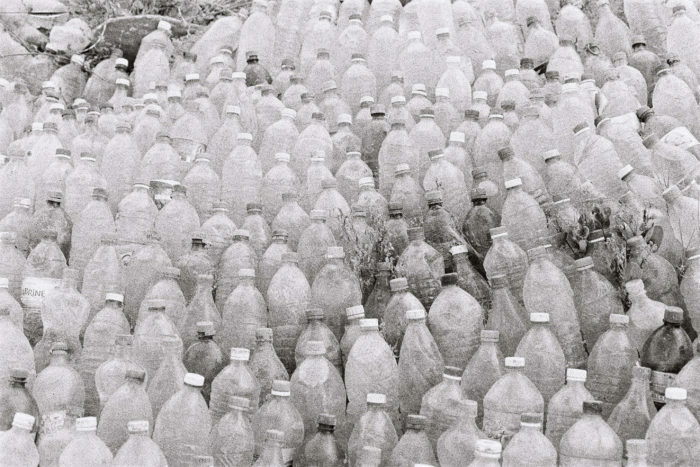 Faces and images, bodies and photographs are the two poles around which Fakhri El Ghezal’s photographic work revolves obsessively; like a slow and long movement of pickaxe that rises in the air and then plunges into the ground; along the years; the same dual seeding gestures by the wound. Then, comes the patience to let the fruit slowly appear, and to reap it; every time the same; each time different. It is a coming and going between faces and images, body and photographs, black and white, politics and intimacy, fiction and documentary, the self and the other. Excerpt from Traces, le travail photographique de Fakhri El Ghezal by ismaël. Tunisian photographer, videographer and visual artist, Fakhri El Ghezal was born in 1981 in Akouda. He lives and works in Tunisia. He graduated in Fine Arts from the Higher Institute of Fine Arts in Tunis and in Art and Communication from the Institute of Fine Arts in Nabeul. 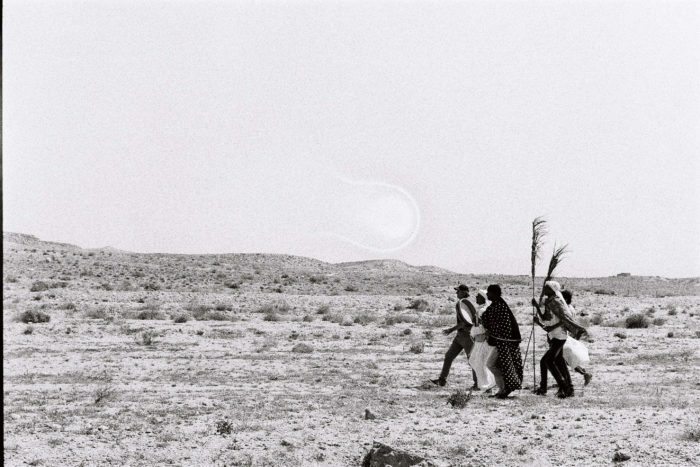 His artworks have been exhibited at international exhibitions and festivals, like: les Rencontres Africaines de la photographie de Bamako, the Festival du Cinéma Africain de Tarifa, in Spain, at Beirut Art Center in Lebanon, at CCCB in Barcelona, at Halles de Schaerbeek and KVS in Brussels, at Abou Dhabi Art Fair, at the New Museum in New York, as well as Mucem in Marseille, the Institute of Islamic Cultures in Paris, and the Shubbak Festival in London. Other exhibition took place in Tunisia at the French Institute, the galerie A.Gorgi, the Elmarsa Gallery, and La Boite. In Morocco, he presented his works at GVCC Gallery and Uzine in Casablanca, and Le Cube in Rabat. He has just won the Rambourg Foundation Award 2018 – Visual and Plastic Arts. 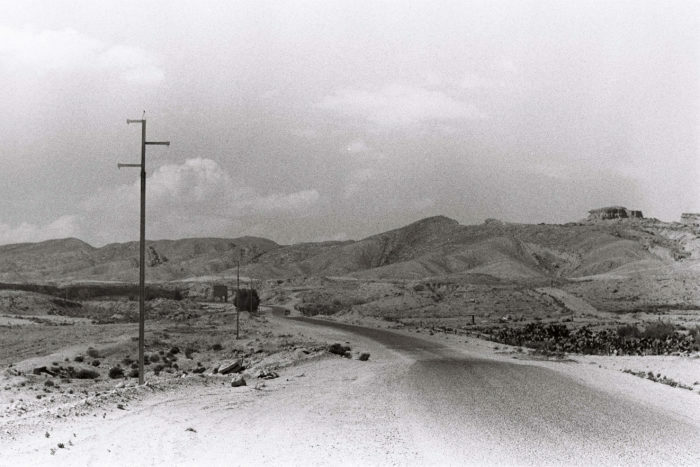 Fakhri El Ghezal, "El Che", extrait de la serie "Sidi(s)"